Squash is wondrous… but so difficult to cut… any hints—every time I pull my butcher knife out to tackle a squash- acorn or others I fear I’ll be taken to the ER! Yes, it can be a pain to cut. I suggest cutting it into wedges with a heaviest, sharpest knife you have and then laying the wedges flat on your cutting board. Then cut the peel off each wedge that way. Especially with a bumpy squash like this one you’ll waste a bit of squash but that’s ok to safe a finger! 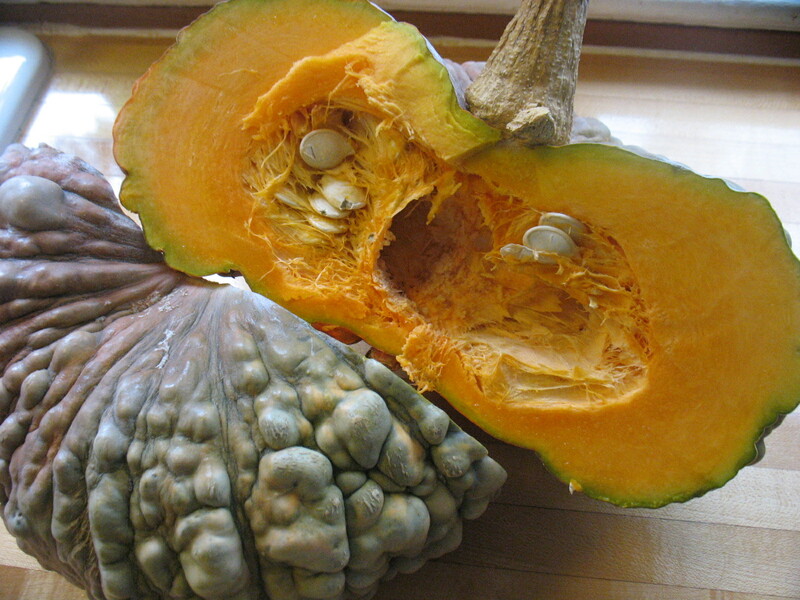 Winter squash is better than ever, now that it has had this long to mature. I am so glad you are still cooking it. I will be soaking beans today and making this tomorrow. I would recommend purchasing a produce knife, just like the ones you see being used at New Seasons, to cut big squash. They have a stainless steel straight blade and a blunt end that makes it safer and easier to cut into a hard object. Produce knives can be found at the Johnny’s Seeds web site. Thanks for the knife suggestion Carol. Very useful! And those were your chickpeas I used. Thank you! I love this recipe, but my husband hates squash (I know. I can’t believe it either). I would like to try it with just chickpeas. 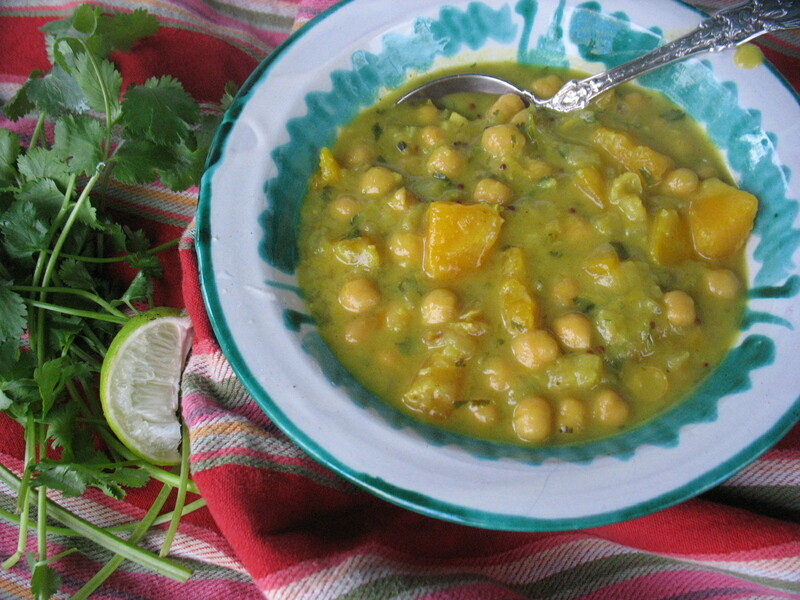 How much more chickpea would you recommend I add? Any other adjustments? thank you!! You could easily substitute potatoes or even sweet potatoes. I also think cauliflower or even green cabbage would be excellent but the cauliflower will cook more quickly so you’ll want to watch it carefully. Let me know if you end up adapting it.